If you know me, you know I’m not the biggest fan of sweets and desserts. But it is WRONG to assume that I wouldn’t eat them. And it is CRITICALLY wrong to think I wouldn’t like brownies, because I love brownies. Brownies are way up there for me. Baking makes me nervous. While I know if I just follow the directions on the baking recipe, I should end up with a good product. But when I cook I don’t like to read, so maybe that’s why I don’t like baking. It’s like having subtitles on a movie. Luckily I have friends who do like to bake. Lauren went brownie crazy this past week, making us two different kinds of brownies, in two days. That’s nuts. One of the recipes actually had nuts. 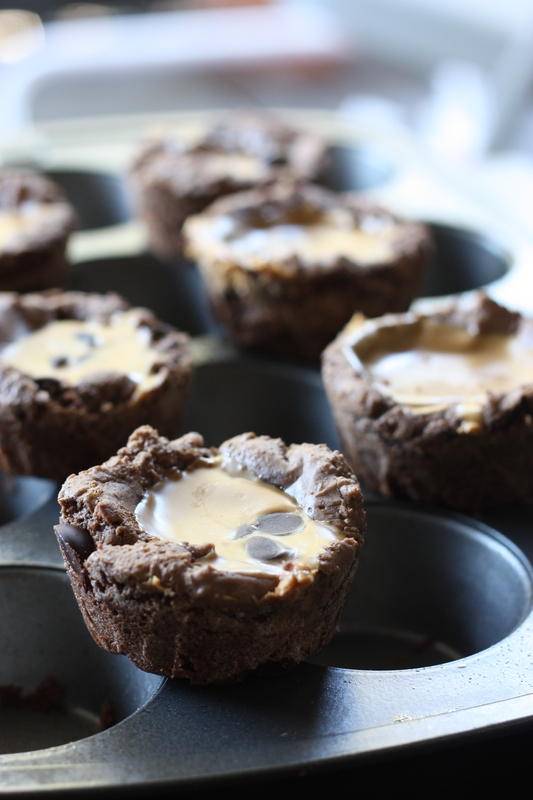 My favorite of the two were these peanut butter cup brownies. 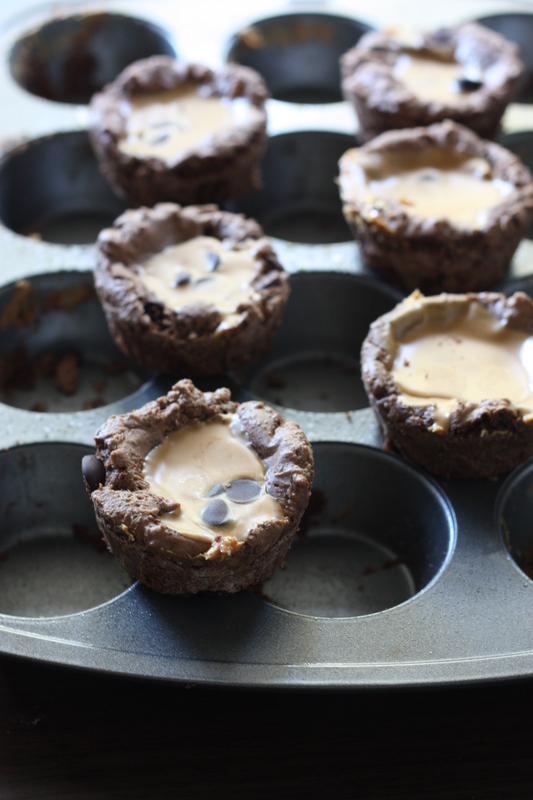 Like Reeses peanut butter cups?! I love those! So this recipe definitely trumps the other one, although the other recipe was cool because it was like a giant flat brownie. Sean had sent me the link to the recipe while we were at work; apparently it made front page. There’s something amazing about seeing something, wanting it, and it appearing without any effort. That’s what happened. Lauren came over with these, and we lost it. This entry was posted on May 25, 2012 by rrfoods in Dessert, Snack and tagged baking, brownies, chocolate, cupcakes, dessert, peanut butter, snack.